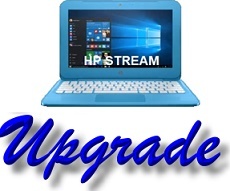 The most common issues with HP Stream laptops are that the HP Stream Cannot Perform Windows Computer Updates. This will typically be caused by the HP Stream Not Having Enough Space. The solution will be to use an external drive as temporary HP Stream Storage, Make HP Stream Hard Drive Space and install Updates, Erase the HP Stream Hard Drive, Reinstall Windows and install Updates, or Install a larger drive. 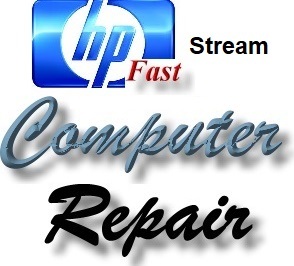 Please note; we also replace Broken HP Stream Laptop Screens - Replace Cracked HP Stream Laptop Screens. However, we may need to order certain screens (different model HP Stream Laptops use different model Laptop Screens. 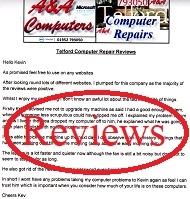 Welcome to HP Stream Laptop Repair from A&A Computer Repair; not only serving Shropshire and Dudley, but providing HP Computer Repair throughout the Midlands and the UK.